Jesse Goodman, the Henry Miller Library, and ((folkYEAH!!)) present Sharon Van Etten and Friends in a benefit at the Golden State Theater (Monterey) for those affected by the Soberanes Fire, Friday, August 12th at 7 pm. All proceeds from the 850 tickets will go to the Soberanes Fire Relief Fund. The funds will be used to make grants to agencies providing emergency assistance, health and human services, short term housing/rental assistance, reimbursement of equipment and supplies, and other immediate relief or long-term recovery support for affected residents. This is a chance to really help out! By getting together you will show your support for your neighbors in need as well as your support of the arts as a wonderful way for healing and health in our communities. Ticket prices are: $35 (upper balcony), $55 (rear orchestra), $75 (lower balcony) and $100 (front orchestra). 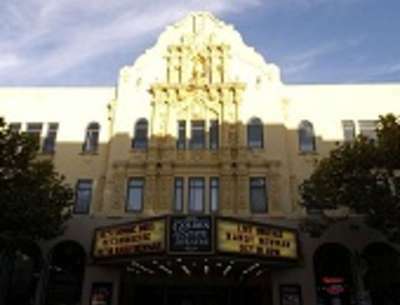 The Golden State Theatre is located at 417 Alvarado St in downtown Monterey, walking distance from hotels and only a few miles from the Monterey Bay Aquarium. Friday, August 12, 2016, Doors open at 7 pm.